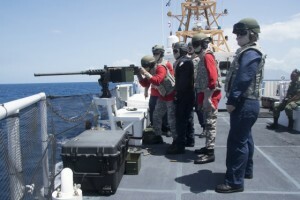 Between May 31 and June 24 of this year, U.S. Southern Command (SOUTHCOM) carried out joint naval exercises with its partners in the Greater Caribbean. The annual exercises, known as TRADEWINDS, brought together units from over a dozen countries. Without a doubt, multinational military exercises are useful as the personnel involved in the maneuvers learn new techniques from each other as well as how to work together. Nevertheless, a major concern is how well the lessons learned are properly applied to real-world operations. machine gun. 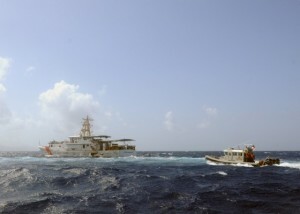 A June 10 video posted in the Coast Guard Compass, the official blog of the U.S. Coast Guard, shows USCG personnel aboard a patrol boat from Grenada, explaining various techniques to their counterparts regarding how to understand the sea states and navigate effectively as they pursue a suspicious vessel. In addition to praise from SOUTHCOM, the exercise has enjoyed the public endorsement and support from various Caribbean governments. 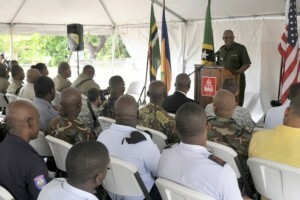 For example ZIZ News, a Saint Kitts news agency, quoted Captain Kayode Sutton of the St. Kitts and Nevis Defence Force as saying, “the support from the government [in Basseterre] has been tremendous… Mr. Osbert DeSuza, the Permanent Secretary in the Office of the Prime Minister… visited the Exercise Control Centre and he received a brief as to what is going on for the entire exercise, the training, all the exercises that are going on right now.” Meanwhile, Guyana deployed its navy’s flagship, the GDFS Essequibo, to the exercise’s maritime phase, highlighting Georgetown’s commitment to display the best it has to offer to operate along its regional allies. Mexico’s ARM Independencia. 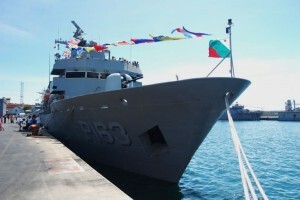 The vessel participated extensively in this year’s TRADEWINDS exercise. Part of the problem may be simply a lack of a consistent PR campaign by regional navies (and security forces in general) to highlight the effectiveness of exercises. In other words, if a narco-speedboat is detained in the Caribbean by units of the U.S. and Jamaican coast guard services, it would be helpful if a subsequent press release could tie the hypothetical successful operation with lessons learned from TRADEWINDS. Another initiative would be to invite high-ranking government officials as well as journalists and other experts to the exercises as they take place, as this would help showcase the level of cooperation militaries from different states can achieve. This would have the added benefit of serving as a prime example to support similar exercises in the future. At a time of budget constraints and with SOUTHCOM being the lowest-priority command center in the U.S. military, said agency needs to better demonstrate to Washington that its activities, including multinational exercises, are beneficial for both U.S. and regional security. This discussion is not meant to question the validity of TRADEWINDS specifically, but rather to address multinational military exercises in general. The U.S. conducts quite a number of these in the Western Hemisphere, such as UNITAS, PANAMAX, Continuing Promise, and Beyond the Horizon/New Horizons. Multinational exercises are important but a strong link has yet to be made between a successful naval exercise (i.e. in which units from two nations operate together to stop a suspicious vessel in the Caribbean), and whether the lessons learned from said simulation were successfully applied in the real world. 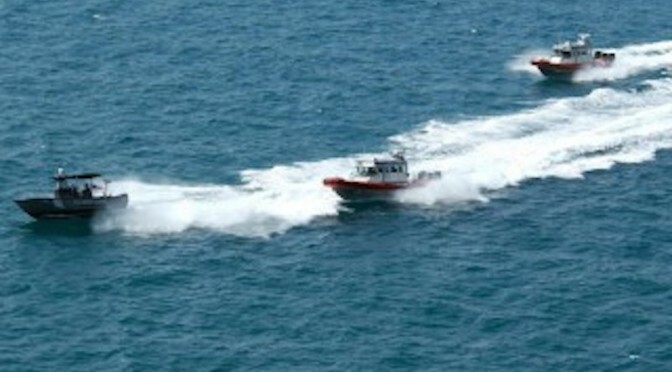 Given the ongoing amounts of drug trafficking that flow through Caribbean waters, putting these lessons learned to the test would not be difficult. Ultimately, SOUTHCOM is not lacking in exercises to increase its relations with regional allies in the Greater Caribbean and rest of Latin America; but it seems that the agency could do with a better PR campaign to explain how effective these exercises are in the long run. W. Alejandro Sanchez is a Senior Research Fellow at the Council on Hemispheric Affairs (COHA) where he focuses on geopolitics, military and cyber security issues in the Western Hemisphere. Follow him on Twitter: @W_Alex_Sanchez.